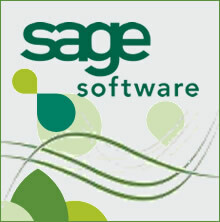 Sage has been providing easy to use, innovative, high quality software for more than 30 years. We have been an accredited Sage business partner since 2004. We work with the UK’s leading provider of business software for the SME market and provide tailored solutions to a wide variety of businesses. The Sage accredited status is not awarded to everyone and has a rigorous training and certification scheme attached to it. Lots of non-accredited companies resell Sage without offering true value for money and benefits such as installation, configuration and training. We do not just send software out in the post and leave our clients to it. Here at Opus, we always guarantee to match or better Sage prices through special offers and promotions. Sage 50 Accounts is uniquely successful by providing the sophistication expected of programs developed for the mid-market, but priced and developed for the small business market. Sage provides a comprehensive range of software to satisfy the differing requirements of individual businesses to help manage their finances. The range provides different levels of sophistication to meet individual customer needs.